N900 billion allocated for National Social Investment Programme in the 2016 (N500 billion) and 2017 (N400 billion) Budgets by the President Muhammadu Buhari administration, only N110 billion has so far been released with the total expenditure of N109 billion made. 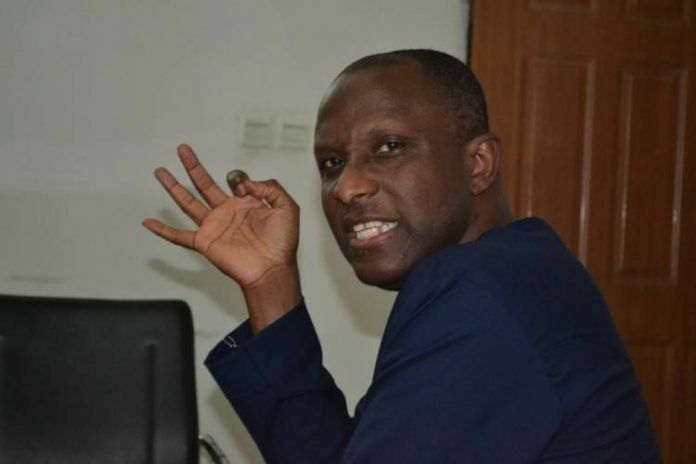 Senior Special Assistant to the Vice President on Media and Publicity, Laolu Akande, made the disclosure in a statement to keep the public abreast of what has been done on programme so far. Akande while giving a break down of expenditure said, “A total of N900 billion was appropriated for the Social Investment Programmes (SIPs) in 2016 and 2017; with N500 billion appropriated for 2016 and N400bn appropriated for 2017. “However, the total amount released was N110 billion for 2016 and 2017, with the total expenditure of N109 billion. Below is a breakdown of the N109 billion released between October 2016 and November 2017 for the SIPs, namely: GEEP, CCT, NHGSFP, N-power, and general expenditure. The GEEP expenditure was N11,700,200,466, while the CCT gulped N5,235,401,087. The Vice President’s Media Aide also said under the National Home Grown School Feeding Programme, over 246 million meals have been served to date to primary pupils across 20 states in the country since the first meal was served in December 2016 till date. Akande said additional 67,928,420 children would be fed to bring the figure to 313,928,420 meals by the last week of February 2018. He added that the programme now feeds 6,044,625 pupils in 33,981 public primary schools across 20 states. More states, according to him, are expected to be added to the programme this year. The Media Aide listed other milestones recorded by the present administration’s NSIP in 2017, in line with its inclusive growth plan, includes tackling poverty and hunger, and creating jobs for Nigerians. He said, “About 40,000 direct jobs have since been created from the School Feeding Programme across the participating states. “The 20 states that have so far been covered by the NHGSFP include Anambra, Enugu, Oyo, Osun, Ogun, Ebonyi, Zamfara, Delta, Abia, Benue, Plateau, Bauchi, Taraba, Kaduna, Akwa-Ibom, Cross River, Imo, Jigawa, Niger, and Kano. Akande disclosed that the school feeding programme now has a social media-based quality assurance tracking system, #TrackWithUs, ensuring that required standards for menu for pupils and meal distribution are adhered to across the states in a transparent manner. “Similarly, the Conditional Cash Transfer has so far recorded over 280,000 beneficiaries in 21 states, while about 300,000 Government Enterprise Empowerment Programme micro-credit, interest-free loans have been disbursed nationwide.